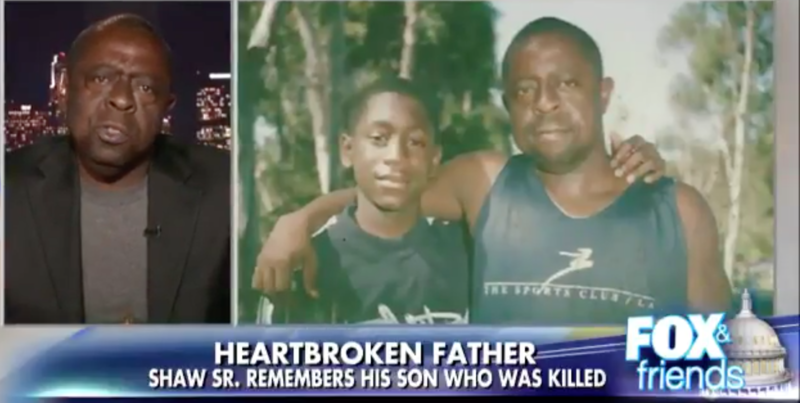 The sad and terrible murder of Jamiel Shaw Jr. occurred on March 2, 2008, in Los Angeles, California. A DREAMer named Pedro Espinoza committed the crime. Anti-American politician, Kevin De Leon supports illegal immigrants, murderers, rapists, and all criminal behavior conducted by immigrants so long as it doesn’t involve him or his family. My son was murdered by a DREAMer, someone that was brought over here when he was three-years-old, but he didn’t stay three-years-old. He was nineteen. He was on his third gun charge. I haven’t heard Kevin De Leon say anything bad about an illegal alien on his third gun charge, in jail for battery on a police officer, assault with a deadly weapon – and then they release him instead of calling ICE and the same day he gets out, he murders my son. Why doesn’t he think that’s bad? Why does he not care about Americans? We love our kids too. We so frequently recoil at directly confronting the race topic that is obviously linked to issues of immigration, but enough is enough. Does it take more lives? Does it take less safety? Does it take anti-American politicians like Kevin De Leon to be forced to resign? Why can’t we live in an America that doesn’t have to apologize to illegal, criminal aliens for living our lives the way Americans should?